of bluebells accompanies the walk from the hamlet to the beck. Above: beyond the beck masses of ramsons fill the air with the aroma of garlic. Above: Tess takes time out to fathom the contrasting fragrances as the path nears the exit stile from the wood. Above: the ancient hamlet of Swartha can be seen from the field path out of the wood towards High Brunthwaite. There are also splendid views across the Aire valley. The name Swartha means 'dark ravine'. Agricultural settlement here goes back 800 years. More recently, upmarket houses, near the entrance to the wood, have attractively replaced farm outbuildings. Above: picturesque Brunthwaite Lane, known as Murder Mile to athletes undertaking the uphill challenge, leads down to the delightful hamlet of Brunthwaite. Above: Brunthwaite, viewed here from the approach from Hawber Lane, was one of the five medieval manors of Silsden noted in the Domesday Book. Above: the same spring-time scene in the 1950s. The lilac tree, on the right, may or may not be the same one we see today. Above: a peaceful Brunthwaite scene of the 1960s. 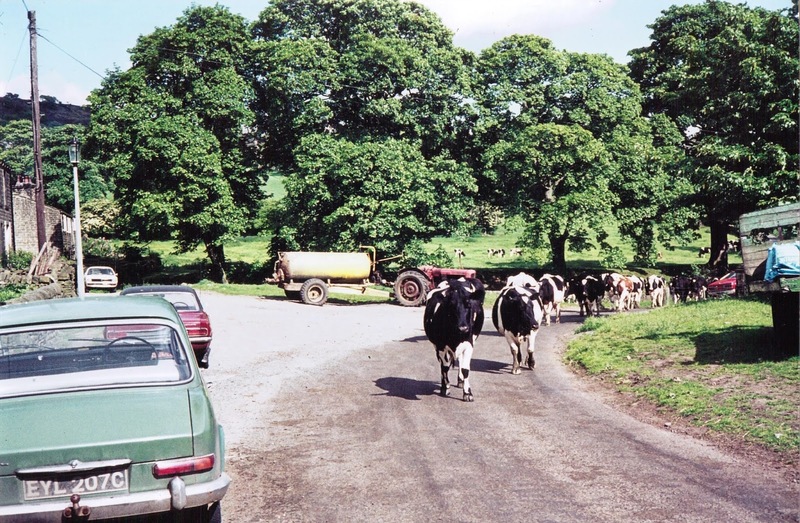 Above: no longer a route for cows -- dairy farming in Brunthwaite itself ceased several years ago. 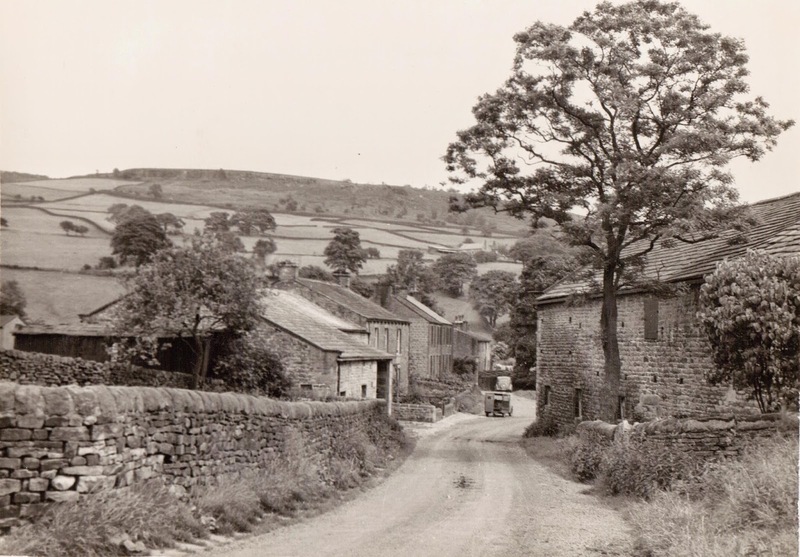 Above: Brunthwaite's rural splendour has been carefully conserved and the hamlet comprises some fine properties. Above: this house was once at the heart of Brunthwaite's farming activities. Above: an attractive row of properties overlooking the green. Above: these houses include one of the oldest buildings in Brunthwaite.